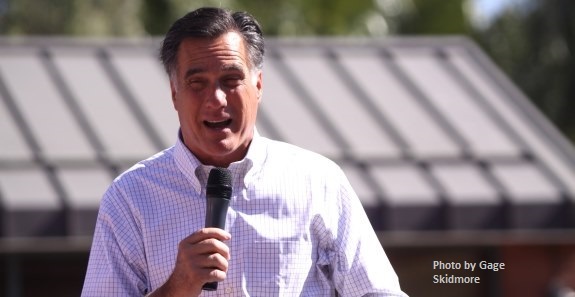 CNN's Maeve Reston reports that Mitt Romney has signaled he is moving toward with a run for a US Senate seat from Utah, tweeting Thursday that he will make a formal announcement about his plans on February 15. However, before those delegates make a decision, we hope they will take a look at the real Mitt Romney. By means unknown, John McCain’s 2008 opposition research file on Mitt Romney – all 200 pages of it – ended-up on the internet. God bless whoever posted it, because it makes truly compelling reading and it shows conclusively that Mitt Romney’s greatest talent as a candidate is his ability to keep every hair in place while not telling the truth. While the file is chock full of interesting data on Romney’s record as Governor of Massachusetts, including a lot of information on his record of raising fees and taxes, and his almost humorously pathetic attempts to make himself look like a regular guy, its most shocking information is its recitation of Romney’s flip-flops and outright lies about his positions on traditional values, abortion and the right to life. Especially for those who heard Romney say throughout two failed presidential campaigns claim that, “I’m a pro-life candidate” the McCain opposition research file will be a real eye opener. Pro-life voters who read the file or the greatest hits list will correctly conclude that, from his support for the RU-486 abortion pill, to backing stem cell research, to his long-time involvement with Planned Parenthood, Romney’s record is one of not so subtle opposition to and undermining of the pro-life agenda. According to Mitt Romney he is a “business legend” who belongs in the “Investors Hall of Fame,” but after reviewing the McCain campaign’s collection of his cynical flip-flops and changes in direction on the pro-life agenda one cannot help but conclude that he is much more likely to end-up in the Right to Life Hall of Shame. Submitted by email_registrat... on Fri, 02/02/2018 - 15:28. Utah is predominantly Mormon. Romney is Mormon. He will be elected. The Mormon organization is not pro life because it is to political. Unless the LDS organization supports the pro life issue; Romney will not be pro life. Submitted by email_registrat... on Fri, 02/02/2018 - 12:24. Romney lost all credibility with me when he made the asinine statement "Obama is really a nice guy, just in over his head!" That told me Romney was the one in over his head!